International Compost Awareness Week is all about promoting compost use and knowledge, and inspiring people to get their own composting systems in place and reduce carbon pollution by ensuring compostable items don’t end up in landfill. At the Compost Day there will be fun and educational activities for kids and adults, plus a very special deal on compost bags for home gardeners. 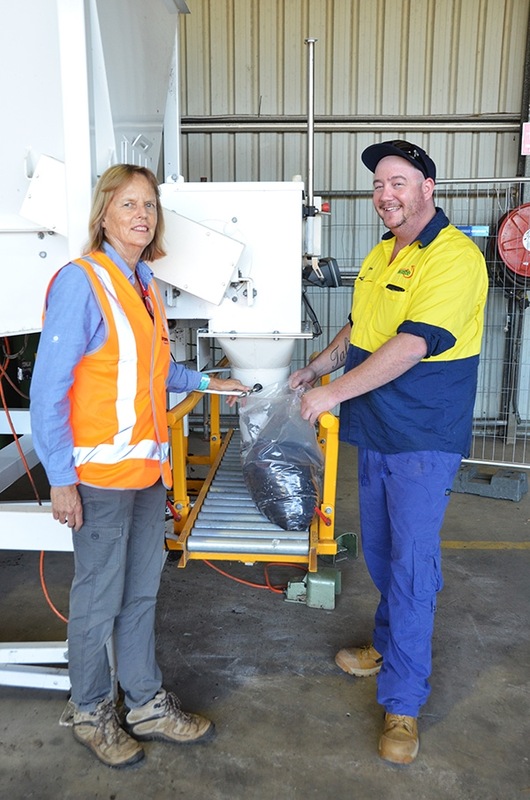 As well as selling truck and trailer loads of compost, Lismore City Council recently installed a bagging machine and they now sell 15kg bags to home gardeners for just $5. These are available from the Lismore Revolve Shop. Get three bags for the price of two. You can take home three bags of beautiful compost (normally $5 each) for just $10 to breathe life into your flower or vegie patches. Magic for your garden! Learn how to have a good composting system at home that transforms your fruit and vegetable scraps into nutrient-rich compost. Find out what can and can’t go into your home compost, and the benefits of home composting. Workshops run 10am and 12pm. For people who don’t have time to compost at home, simply put your scraps in your green bin and Lismore City Council will do the rest! Join a guided composting tour at 9am and 11am to see how the closed-loop organics system works, and how they compost fruit and vegetable scraps from kerbside organics bins into compost products that are suitable for home gardeners, orchards and farms. They will also show people the Materials Recovery Facility (MRF), which sorts and processes recyclables from yellow kerbside bins. There are fun things for kids to do, including a giant composting game and potting seedlings to take home. Compost Day is on Saturday, 5 May from 9am to 1pm at the Lismore Revolve Shop, located within the Lismore Recycling & Recovery Centre at 313 Wyrallah Road, East Lismore. This event is coordinated by Lismore City Council and North East Waste on behalf of Ballina Shire, Byron Shire, Richmond Valley and Tweed Shire Councils.